Replacing the flooring in your kitchen, bathroom, basement or elsewhere? Tile installation is a great way to add long-term value to your home. Let the Grout Experts do your tile installation for you. 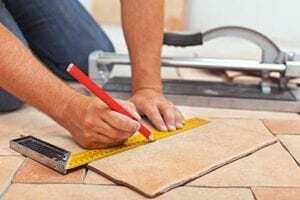 Tile installation can be a long and costly project if not done right. Our certified Grout Experts not only know the best ways to do your tile installation project, but we will use the same technology in your grout that we do when cleaning, staining, and sealing. This sealed grout in your new tile installation will add an extra layer of protection you will not get elsewhere. If you’re ready to get started, give us a call or fill out the form for a free estimate.